Centennial, CO, November 2, 2015	(Newswire.com) - ​SchoolSAFE Communications provides direct radio communications between schools and first responders during a school crisis. Research published recently by Motorola Solutions shows why SchoolSAFE equips and trains schools with affordable two-way radios instead of smartphones or tablets. VDC Research was commissioned by Motorola Solutions to conduct research among enterprise and government IT and operations decision-makers to assess their critical communications requirements. Based on a survey completed by 816 qualified respondents, the VDC study, "Business-Critical Communications: Benefits of Selecting Two-Way Radios over Cellular Phones," explores the "no compromise" requirements around a robust, reliable, and secure mobile communications solution. 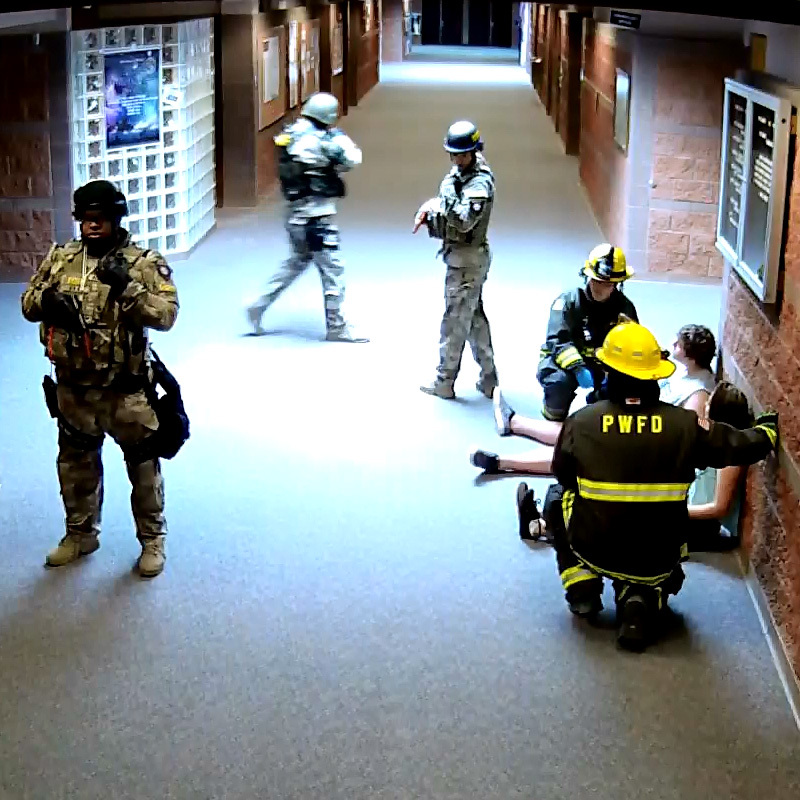 The VDC Research findings correspond with the SchoolSAFE Communications approach to mission-critical coordination among school staff and response agencies when responding to a school incident. The two-way radio leverages a private network to provide immediate and reliable voice-based communication and specialized data services. Smartphones and tablets, while highly functional, often cannot be relied upon to support critical communications required in responding to school emergencies. During such emergencies, cell tower overload renders public cellular networks unreliable, making private radio networks the only viable critical communications option. According to VDC, consumer devices used for critical enterprise workflows do not hold up to the rigors of the workflows and are failing at a high rate. Rugged two-way radios realize annual failure rates of 4-8%, while failure of consumer devices used to support comparable business critical workflows can reach 18-20% on an annualized basis. Each time a mobile device is not functioning properly or is damaged, a mobile worker is losing between 60 and 120 minutes of productivity. Additional issues relating to dead spots, battery performance, network outages, or audio performance impact downtime as well. Without monthly service fees, two-way radios offer a significantly lower total cost of ownership when compared directly to smartphones and other cellular connected devices, which carry monthly service fees. The always-on capabilities of two-way radios are invaluable during emergencies. Strong all-shift battery performance means 10-12 hours continuous operation. According to VDC, 65% of enterprise mobile users say that their cell phone batteries "frequently" or "occasionally" do not last the full shift. Two-way radios can continue to function well into the second shift. The level of ambient noise (especially in busy school environments during crisis response, as noted by SchoolSAFE Communications) can render many mobile communications devices ineffective. Excellent voice quality on two-way digital radios is enhanced by sophisticated software algorithms and background noise suppression which ensures that clear voice is delivered in even the most extreme scenarios. With the need to improve collaboration and accelerate resolution time, a key benefit of two-way radios is the "one-to-many" group communication function and the ability to instantly connect people. Two-way digital radios can offer additional integrated features such as GPS, text messaging, location tracking, and providing instant notifications when assets malfunction. In addition, special target applications are made possible by a growing catalog of accessories such as special mounting brackets, hands-free data collection solutions, carrying cases, and more. By leveraging the features and benefits of affordable school two-way radios, SchoolSAFE Communications can enable interoperability between schools and their community partners when a crisis occurs. Motorola and SchoolSAFE Communications have teamed up to offer a solution that makes it possible for school-based radio systems to connect directly and securely with the radios used by first responders. For more information, visit SchoolSAFE Communications at http://schoolsafecom.org. For a video animation showing the school safety advantages of two-way radio, go to Digital Radios vs. Cell Phones: Which Better Prepare Schools? at https://www.youtube.com/watch?v=pkZ7M98GJF8.